Dear daughter, as we take our flight back home to Brazil today, your mother and I leave you here in the US with your older brothers and the saints that will be your home congregation for the next several years. We return to an empty nest as you launch your journey of life away from home. We feel all those typical parental concerns about our children, so indulge me in this short letter of fatherly advice. Beware not to be caught up in the materialism of much of American society. Many people care more for their trinkets and baubles than for the Bible as the word of God. If you meet the pace of the world, if you talk their language, if you enter their race, you will leave behind what is eternal and godly. Never let excuses start you down the path to missing any of the church’s meetings, or fudging on truth and honesty. Do not let hobbies or interests become addictions. Identify temptations quickly, and shoot them down mercilessly. They often come as the voice of reason, with things you’re entitled to, or pleasures that you will miss if you don’t grab them now. You are one of the most level-headed young ladies I know. I have full confidence that God will bless you and fulfill your desires to be his servant. You have set your goals for this year, and beyond. Pursue them with all your energies, and let God show you opportunities that you may have never considered as well. Remember always to look forward. The blessings of the past will be your motivation for your future. The past is usually a mixed bag, though I dare say our family life was in most ways a positive time for all of us. Parents often think on what they would change, and your mother and I are no different, but overall we’re grateful for our experiences as a family. You were born and reared in Brazil as we did the work we were called to do. You were an active participant in that work, with your own ministries as a camp counselor, Bible school teacher, and public speaker. You gained wonderful experiences and perspectives as a third-culture kid. 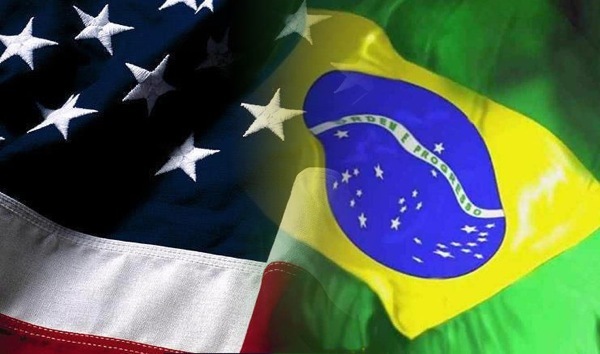 Your American experiences will be far different than in Brazil. You will feel culture shock because of those differences. Sort out what are mere cultural differences and what are attitudes and behaviors among Americans that are out of sync with Scripture. You have moved to America at a challenging time. The United States is not the country it was when we left it in 1984. It has become more pagan, more strident, than ever before. See it as your opportunity to bring Christ to the lost. Be aware at the same time that there are wicked people out there who would love nothing better than pull you away from God (see Proverbs 2:10-15). Also, be patient. The job market is hard for people your age. It may take time to find a job. Study as you can, and avoid the debts that so many are taking on. Live simply, but fully. You know what you need to do, as we are sure you will do: stay close to the Lord, be often among his people, drink deeply of the Word of God, be constant in prayer, fulfill your task as a light in a dark world. We board our plane today, sad to leave you, but confident that you have received from us the true gospel of Christ, which will adorn your life in wonderful ways we have never dreamed of. And our dreams for our little girl have always been great ones. “In the fear of the Lord one has strong confidence, and it will be a refuge for his children” (Proverbs 14:26 NET). Lendo umas das linhas da sua carta me fez pensar na situacao que estamos vivendo agora, e das bencaos que o Senhor esta derramando por temos tomado esta decisao de mudar e ficar perto daqueles que tbem amam sua obra. Nos estamos nos mudando no proximo mes para Edmonton, e gracas a Deus estamos sendo recebidos de bracos abertos por toda congregacao, nao vemos a hora de estarmos por la, louvando e agradecendo a Deus com nossos irmaos em Cristo depois de 2 anos sozinhos ( digo sem Igreja de Cristo aqui em Thunder Bay). Quero agradecer vc em especial tbem, pois tenho certeza que nossas conversas e suas oracoes foram importante para nossa decisao de sempre ” Buscar o reino de Deus” em primeiro lugar. Um abraco em todos, estaremos orando por vcs tbem. Muito obrigado, Silmara, pelo seu comentário. Vocês têm sido um ânimo muito grande para nós, na sua dedicação ao Senhor, e na sua insistência de viver a verdade do evangelho. Oro a Deus pela sua mudança para Edmonton, para que seja grande oportunidade para vocês no Senhor. So well said! You and Vicki have raised a precious daughter who is also chosen to be valuable to the Kingdom. We know that God will be with you all! Excellent, godly advice written by a caring and wise father. Judy and I entered our empty nest several years ago after our son, our youngest, graduated and began his university years. Brother, I had a terrible time that day. So, I know what you experienced wasn’t easy. Next Next post: What do you do with words?